Online marketers often focus on direct response advertising, and, lost in the world of clicks and conversions, forget about the importance of developing a strong online brand. Content marketing is one tried and true marketing technique recognized as valuable by most marketers, regardless of their biases. Content marketing can serve myriad end goals, but one that doesn’t often receive attention is branding. Creating valuable content is one of the best ways to establish initial brand awareness and to build and maintain your brand online. Frequently updated content can introduce your brand to a new, relevant audience. Interesting and educational blogs, white papers, ebooks or videos can be shared across your brand’s social networks and across your brand advocates’ social networks. If the content is good—meaning it adds value and is not overtly self-promotional—it will be disseminated. Organic sharing of your content is one way your brand can reach a new audience. You also can disseminate your content via paid channels such as Outbrain, a recommendation engine that allows links to your content to appear under “Related Articles” on sites like CNN or Mashable. I personally use Outbrain and have found it to be significant driver of relevant initial traffic. However, tools like this are worthless without engaging and original content. how well your brand ranks for the keywords of your choice and by associating your brand with the keywords that matter. More than simply driving more clicks, a high search ranking tells people that your brand is relevant. More than just introducing new people to your brand, content marketing can help you establish your brand among customers, prospects and within your industry as a whole. Developing consistently valuable content in a particular niche will make interested individuals return to your site, and allow you to establish yourself as an expert. You also can use content to position or to reposition yourself in your space. For example, write a blog or a whitepaper describing your industry and explain where you fit in. If you’re trying to go after a particular type of client, write a case study about a current client with a similar background. If you’re trying to pursue a new type of client, write a fictional case study outlining potential use cases. How can you use content to build your brand? If you’re just getting started with content marketing, you need to build an initial strategy outlining your content goals and set up an editorial calendar describing the type of content you’ll create and how you’ll use it to reach your goals. to your brand’s values, and how it can help you drive awareness, establish leadership and position yourself appropriately. Brand awareness and establishment are key components in building a company in the long term. When it comes to establishing your brand, content is one of your best tools. 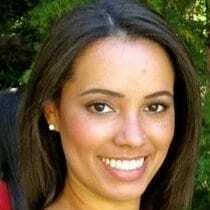 Caroline Watts is on the marketing team at ReTargeter, a full-service display advertiser specializing in retargeting. She is responsible for the development and implementation of ReTargeter’s own content marketing strategy. You can find Caroline on Twitter and Google+ . “When it comes to establishing your brand, content is one of your best tools”… Such great advice. It’s cost efficient and the search engines love unique content. Thanks for posting, Caroline! Your holiday Mont-Tremblant bed and breakfast destination. Mont Tremblant activities include skiing and snowboarding at famous the Mont-Tremblant ski resort. Or enjoy cross-country skiing at the door of our Mont-Tremblant bed and breakfast. Ice skating near the heart of Mont Tremblant (very close to the B&B). Many excursions with trained sled dogs near Au Beau Soleil, our bed and breakfast in Mont-Tremblant. I’ve really enjoyed reading your different articles. They are so informative and interesting. This post give truly quality information. I’m definitely going to look into it.